Neymar has taken a shot at the Barcelona board following his goalscoring home debut for Paris Saint-Germain , claiming the club “deserve much better”. 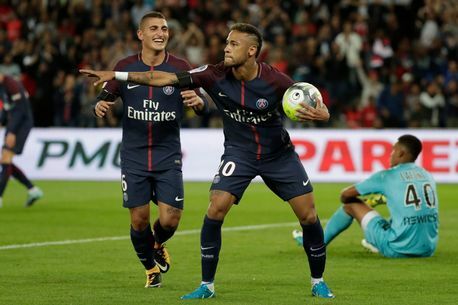 The Brazilian netted twice against Toulouse at the Parc des Princes to help his new side to a 6-2 win following his £199million move from Barca. That made it three goals in two games for the world’s most expensive player, who revealed his disappointment in how his former club has been run. “I don’t have anything to say to the Barcelona board,” Neymar said.